U.S. President Donald Trump said on Wednesday he expected a formal announcement as early as next week that the coalition fighting Islamic State militants has reclaimed all of the territory previously held by the extremist group. “Their land is gone. 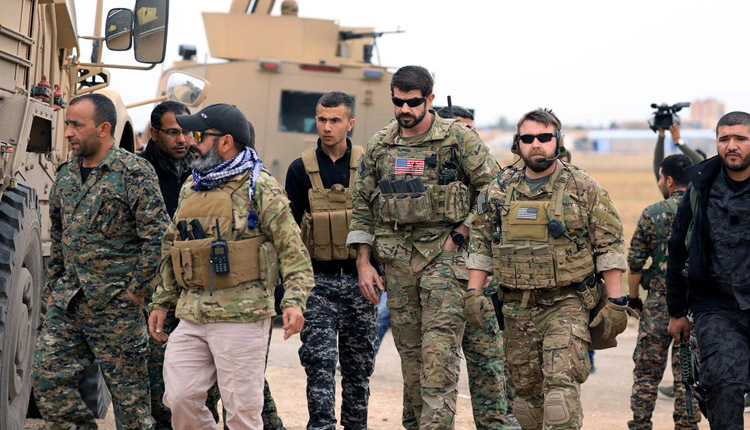 It’s a big factor – their land is gone,” Trump told foreign ministers and other senior officials from 79 countries that have worked alongside the United States in fighting the militant group in Syria and Iraq. Trump’s decision to withdraw U.S. forces from Syria has prompted some criticism at home from Republican and Democratic lawmakers, who fear Islamic State could regain its strength. A top U.S. Army general for the region, Joseph Votel, said in Senate testimony on Tuesday that the group could experience a resurgence after a U.S. pullout. “The United States military, our coalition partners and the Syrian Democratic Forces have liberated virtually all of the territory previously held by ISIS in Syria and Iraq,” Trump told the gathering at the State Department. Earlier, U.S. Secretary of State Mike Pompeo reassured the coalition partners that the withdrawal of U.S. troops from Syria was not “the end of America’s fight” and called on them to help permanently defeat Islamic State in Syria and Iraq. Warnings by Pompeo and others that Islamic State remained a dangerous threat fly in the face of Trump’s December declaration that the militants had been defeated and the United States would withdraw its roughly 2,000 U.S. troops from Syria. The president’s sudden decision shocked coalition partners, including an alliance of Kurdish and Arab militias that has been among the most effective against Islamic State, and prompted the abrupt resignation of Defense Secretary Jim Mattis. Wednesday’s meeting was the first of senior coalition officials since Trump announced U.S. troops would withdraw. Participants included foreign ministers from Turkey, France, Saudi Arabia, Jordan, Morocco and Iraq. Iraqi Foreign Minister Mohamed al-Hakim called on countries to help expose Islamic State “sleeper cells” in Iraq and restore stability. Pompeo said despite progress in fighting Islamic State in Iraq, the group retained a strong presence in that country and was trying to mount a clandestine insurgency. “The coalition must continue to support the government of Iraq in its efforts to secure the liberated areas of that country,” Pompeo said. “Mr. Foreign Minister, we’re with you,” he told Hakim. Earlier this week, Trump said it was important to keep a U.S. military presence in Iraq so that Washington could keep a close eye on Iran, according to a CBS interview aired on Sunday. However, Iraqi President Barham Salih said on Monday that Trump did not ask Iraq’s permission for U.S. troops stationed there to “watch Iran.” The United States and Iran are Iraq’s two biggest allies.